Kyle Langford, of Abbott, was inducted into Alpha Chi national honor society at Angelo State University on March 25. To be eligible, students must rank in the top 10 percent. Jessica Eastham, of Robinson, was named to the president’s list at Hardin-Simmons University for the fall semester. 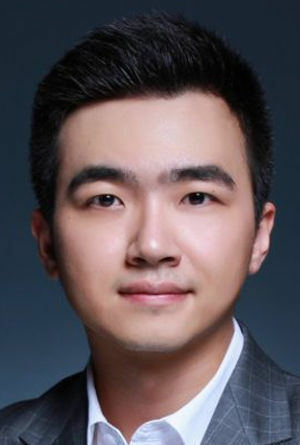 Jiajun (Dylan) Jiang, teaching assistant and Ph.D. candidate in the department of geosciences in Baylor University’s College of Arts & Sciences, was a recipient of the National Association of Geoscience Teachers (NAGT) Outstanding TA Award for demonstrating excellence in his teaching assistant position. Jiang was nominated by colleagues Sharon Browning, teaching laboratory coordinator in the department of geosciences, and Daniel Peppe, Ph.D., associate professor of geosciences and graduate program director. Sara L. Dolan, Ph.D., associate professor of psychology and neuroscience in Baylor University’s College of Arts & Sciences, has been awarded a five-year grant from the Substance Abuse and Mental Health Services Administration (SAMHSA) — a branch of the U.S. Department of Health and Human Services — for a project aimed at improving clinical practice for children who are victims of abuse and trauma.